We use the word “litigation” in our name to let our potential clients know that our main focus is on advocacy for clients involved in disputes. Our firm does not do your will, register the sale of your house or maintain your corporate minute book. Instead, we work in the courts, in administrative tribunals, and in out-of-court negotiation processes to resolve tough situations and provide clarity on rights and obligations in many different contexts. We provide you with both advice and representation to help you solve financial and personal matters, sometimes with the help of the justice system and sometimes through professional communication and deal-making. In the course of a regular week, you might find us in the courthouse on our feet in front of a judge, or back at the office preparing evidence for hearings, meeting with clients and drafting claims or legal arguments, or on the road to view a site or interview knowledgeable people in order to properly build a case and advise our clients. We work with you to understand what outcomes can be achieved, and the context that gave rise to your case. We do our best to communicate with opposing counsel or parties in the way that advances your goals. When we resolve matters, we work hard to capture the terms of resolution in agreements or court orders that will continue to serve you and guide the situation even after our direct involvement comes to an end. Our role is not limited to matters that are already before the court or destined to go there. We both negotiate and litigate, allowing you to move seamlessly between the two processes without having to change lawyers, and helping you to make the strategic decision about when to elevate the matter to court. Opposing parties will know from the outset that if they are unable to come to reasonable terms with us on your behalf, we have the necessary toolkit to seek a court resolution for you. Because we have court skills and experience, you can stay with us through all the phases of dispute resolution. Having early advice from people who regularly go to court helps you do a better cost/benefit analysis in the beginning. You are welcome to contact us for a consultation when a problem is emerging, rather than waiting for it to develop into a court case and seeking advice then. Please review Kat Kinch’s bio for examples of our firm’s litigation and Superior Court experience. What is the difference between a paralegal and a lawyer? In this section, we will answer some of these questions to help you determine whether or not a lawyer or a paralegal is the right representative for you. A licensed paralegal is a representative for you in certain types of legal matters, such as small claims court and matters under the Provincial Offences Act. In 2008, Ontario’s law society began regulating the practice of paralegals in Ontario as part of Ontario’s Access to Justice initiative. Paralegals are now required to comply with the by-laws and professional conduct rules of the Law Society, and new paralegals are required to attain a Law Society certified diploma, as well as write a licensing exam that covers both ethical and substantive areas of law. Paralegals are now licensed to represent clients in a wide variety of court matters and cases before administrative bodies, including, but not limited to, small claims court, provincial offences court (such as traffic tickets, speeding tickets, hunting and fishing infractions, dog owner liability), the Landlord and Tenant Board, WSIB claims and appeals to WSIAT, the Ontario Municipal Board, human rights cases, Statutory Accident Benefit claims, MPAC assessments, criminal court for summary conviction offences with a maximum of 6 months of jail time and $5,000.00 in fines, and cases before administrative tribunals. While a paralegal is presently unable to represent clients in serious criminal offences, Superior Court of Justice civil cases, family law matters, or appeals, our firm also has a lawyer you can retain for these matters. We offer both levels of service and will be happy to recommend what type of representative is best for your legal matter. If you have any further questions, or are unsure whether or not a paralegal can assist you with your legal matter, please feel free to call us and we will be happy to answer any questions you may have, including affordable, accessible billing arrangements we offer in matters that a paralegal can conduct. We have put together the following case scenarios to illustrate the kinds of files we see and how we approach our file intake. To maintain confidentiality for existing clients, the scenarios are not real client facts, but a collection of themes and issues that come up in our practice. The following scenarios are to help new clients know what to expect when they see us in an initial consultation. A married couple from Northumberland County is considering separation. They run a family business based in the rural area, in which others related to them are also involved. One of them has a pension from a past job. One of them is concerned that the other’s health issues will make it difficult for that spouse to get a job in the workforce outside the family business. If one of the spouses in a scenario like this comes to us for a consultation, we will take a detailed history, and ask for financial information such as tax returns, financial information about the company, how the ownership is structured, and what each person owned when they got married as well as currently. We will discuss all the different ways that a family law matter can be resolved, such as through negotiations, through mediation with independent counsel assistance, or through the Cobourg courthouse at an early stage if a judge’s assistance is needed for urgent orders or obtaining information that won’t otherwise be provided. We will talk about whether expert advisors are needed and in what way, and how to get common forms of valuations, such as pension valuations and real estate appraisals. We will provide customized advice about how that spouse can take steps in the short-term to begin the process, and we will talk about what the range of long-term expectations includes. We will decide on a plan of action, answer your questions, identify where more information is needed, and clearly explain how we work with clients who retain us. A business owner has an emerging problem with an employee. Communication is breaking down with the employee and the business owner is worried she will be sued in some form if she fires the employee. She would like to avoid public airing of the employee’s complaints, and avoid litigation if possible, but not at the cost of an unfair arrangement with the employee or an ongoing workplace climate that is disruptive for others working at the business. In a case like this, we will review the history of the employee-employer relationship, the contract that is in place (verbal or written), the workplace policies that are written or informally applied, and any special risks or concerns attached to the workplace such as confidentiality issues, trade secrets, or security issues. We will talk about whether a legal problem is already happening, or has the potential to develop. We will provide customized advice on your actual workplace and practices, and recommend approaches for dealing with that employee. If needed, we can assist in negotiating with the employee directly, and if a resolution is reached, we can draft the necessary documents so that your matter is settled in a formal fashion. We will be available as counsel if the employee goes to court or starts a human rights complaint, but can work in the meantime to resolve the issue before those processes are used. However, our early advice may give the business owner the building blocks to reverse the deterioration in the relationship, or to adjust course and avoid the mis-steps that can lead to employers being sued. An executor (or “estate trustee”) is appointed by her brother’s will. The brother’s will is handwritten and it is unclear to the trustee if it is done correctly and what all of the terms mean. She anticipates some pushback from the brother’s children, as the siblings do not get along and are not treated the same under the will. Her brother was ill at the end of his life, and while he was clearheaded much of the time, there were days when he did not recognize members of his family. The executor has gone to a solicitor’s office for help with the estate administration process, but the solicitor has recommended a litigator’s opinion on a court application. In cases where a will is unclear or potentially not valid, there are special court rules that allow executors/estate trustees to get directions from the court or interpret a will. We can act for estate trustees to prepare the necessary court documents, serve the beneficiaries, and proceed before a judge to get orders and directions so that the executor can properly move forward with the estate and a correct understanding of the terms of the will or other legal issues that may apply. Estate litigation does not always mean that people are fighting over a will or a particular outcome. If the prospective client is one of the children (or another beneficiary or potential beneficiary), we will review whether there are rights or claims that should be pursued, and assess whether the will presents a problem with its interpretation or validity. We will also discuss strategies for raising your concerns in the estate process, and make recommendations knowing that you are dealing with people with whom you usually have a long history. A business owner has several outstanding accounts, ranging from a few thousand dollars to more significant amounts. He has been unsure whether any of them are worth pursuing in court, and has been sending email demands to the customers who have failed to make payments. He asks us to see him for overall strategic advice about how to handle these unpaid invoices. 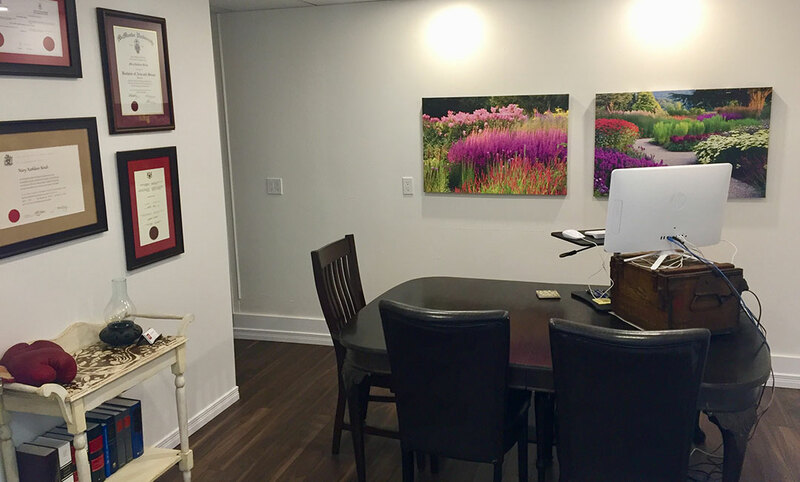 Our office is handy for him because he operates his business in Trent Hills, but his customers are located in both Peterborough County and Northumberland County, both of which are courthouses our paralegals attend regularly (as well as Belleville). For a client with these facts, we will review the contracts (verbal or written) that resulted in the invoices being sent, as well as the communication to and from the customer. We will review the payment history and the applicable limitation period for the claim. We will talk with the owner about whether this is a business relationship he needs to preserve going forward and discuss how we can factor that into our strategy for the case. We can help the business owner in delivering demand letters and setting out timelines for payment. In the event of continued non-payment and where the amounts involved fall within the small claims limit, our paralegals can act for the business owner, often on flat fee or step-based arrangements with affordable retainer amounts. In cases where we consider it to be appropriate, we will entertain limited retainer arrangements for specified projects, such as drafting the business owner’s claim where he prefers to represent himself.